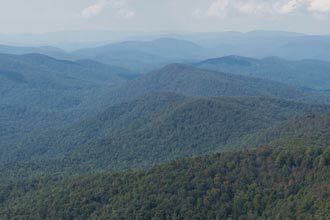 Take a longer route to the top of Blood Mountain, combining several trails to make for an epic half day hike. 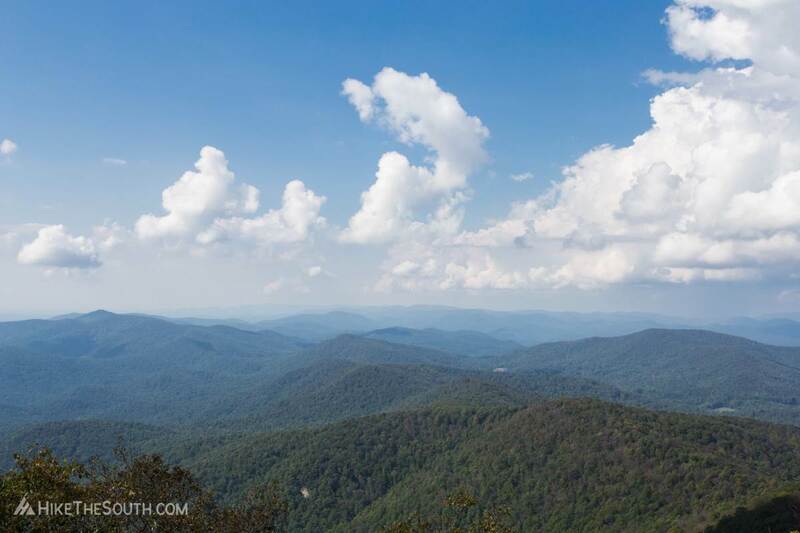 Criss-cross over mountain streams, navigate around large boulders, and ascend to soaring views on the way to this popular north Georgia summit. 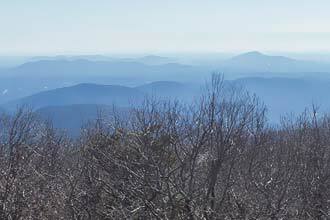 Most of the way you won't see too much traffic, but be prepared for crowds at the top on nice weekends. Park in the day use lot across from the Visitor Center. Head down the road to the right of the Visitor Center for .2 miles before turning into the woods on the right just after Cabin #7 at the large sign for the trail. 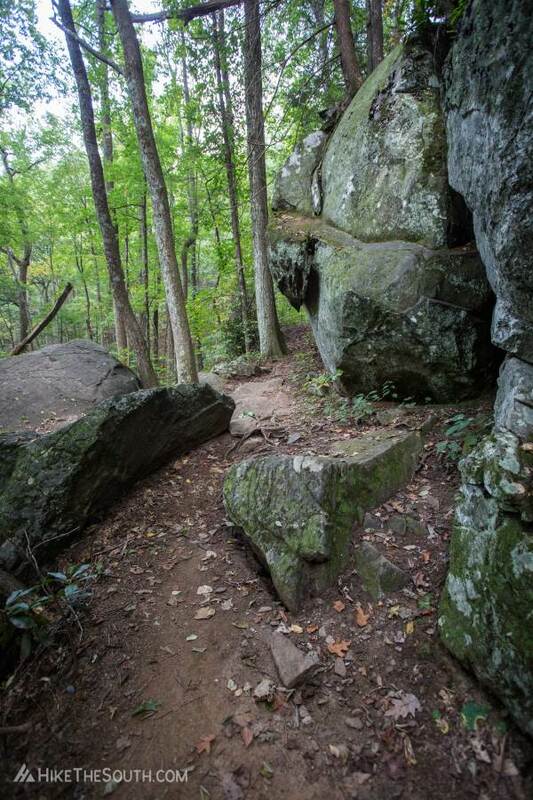 Pass a side trail on the right, then stay to the right after the bridge, following the green blazes until you reach the intersection with the Coosa Backcountry Trail. A large sign points straight to Blood Mountain, but we're going to turn right to loop around the Bear Hair Gap Trail on the way up. Less than a tenth of a mile later the Coosa leaves to the right and the Bear Hair Gap takes a left. 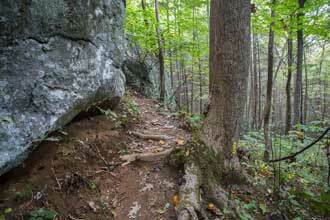 The trail climbs at a 600 ft/mile rate for .6 miles before coming to a gravel road. Follow the white arrow pointing left. 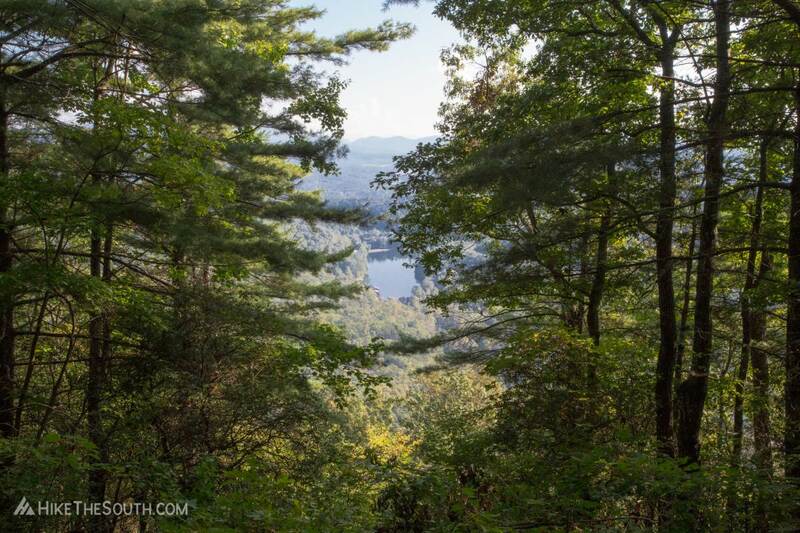 At 1.8 miles, take the Vogel Overlook spur trail to the left at the sign for a limited view of Vogel State Park and Lake Trahlyta. 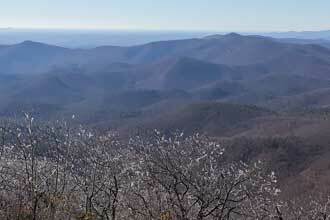 This will definitely be a better view in the winter, but for this hike, it is but an appetizer. Returning to the loop, the hike levels out for the next mile until the second intersection with the Coosa Trail. 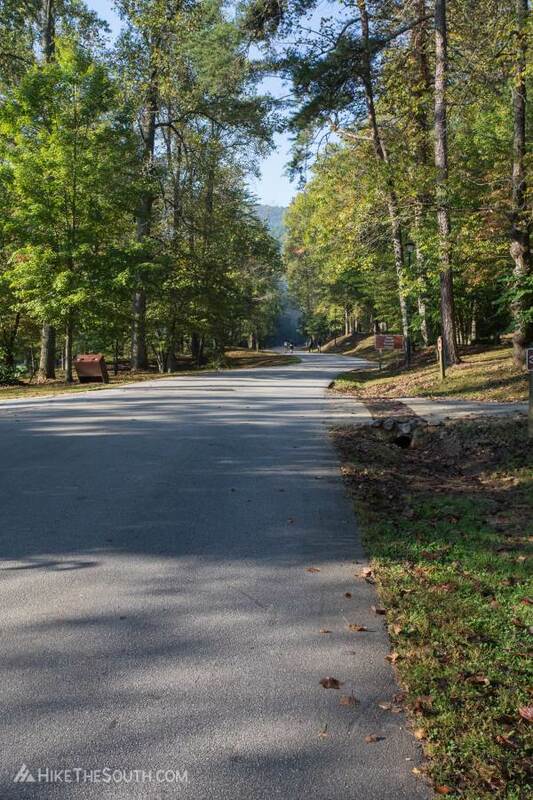 For Blood Mountain, turn right to head up the Coosa. 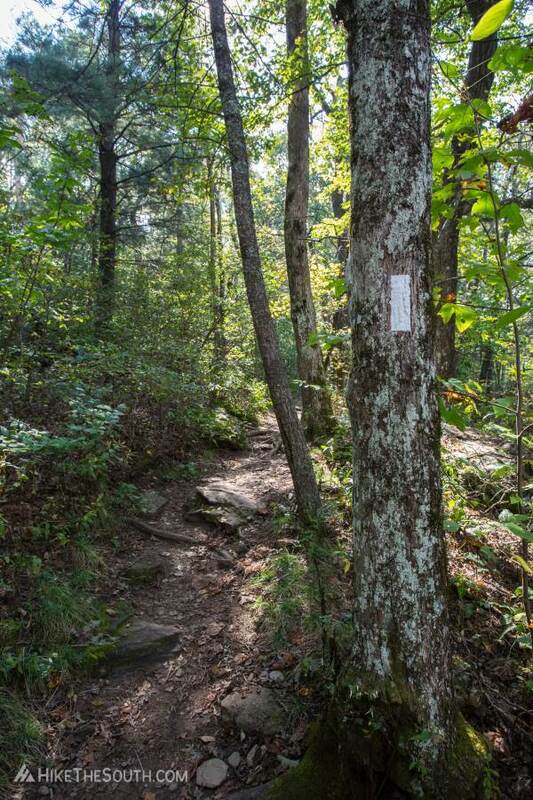 The next mile is the most difficult section, climbing 700 feet in less than a mile before arriving at the intersection with the blue-blazed Duncan Ridge Trail. 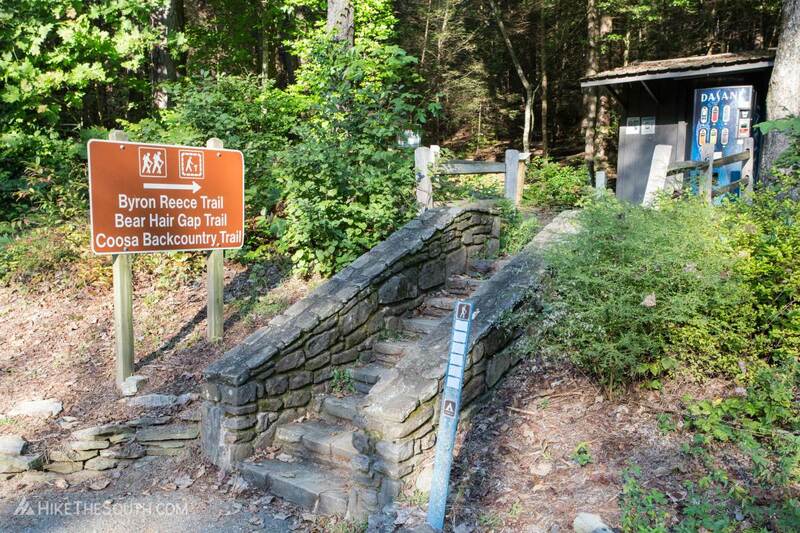 Make a hard left, hiking .7 miles before arriving at the Appalachian Trail. 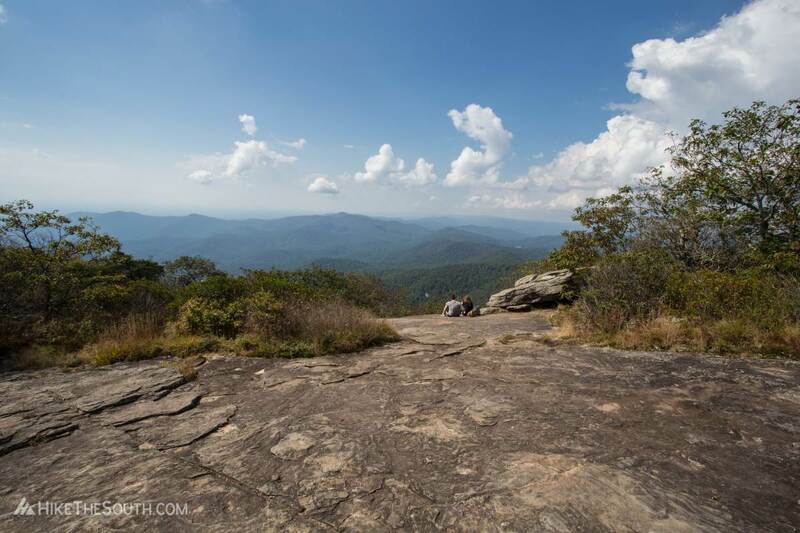 Turning left, the trail switchbacks up to the summit of Blood Mountain. 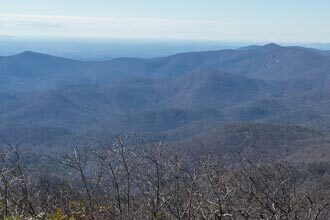 Blood Mountain is one of the most hiked sections of the AT in Georgia, so expect crowds on a nice weekend. 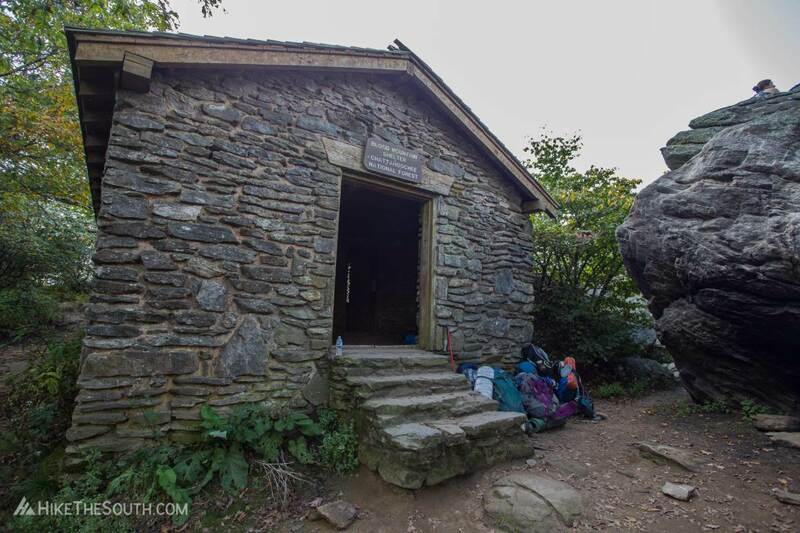 At Blood Mountain shelter, climb up the rock for a good view but the real view is a tenth of a mile past the summit. 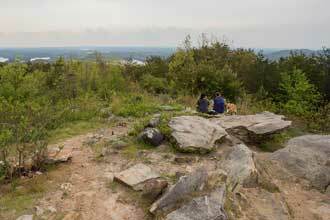 An expansive bare rock face provides sweeping views to the west. 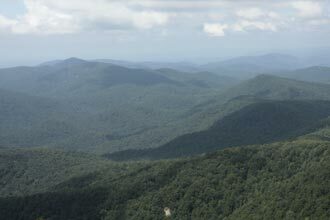 Heading back the way you came, be on the lookout for the Duncan Ridge Trail on your right as it connects to the AT at a sharp angle and going down it's easy to miss. 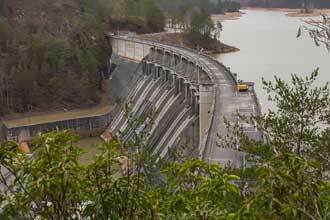 Back at the intersection with the Coosa and Bear Hair Gap, continue down to finish the loop. 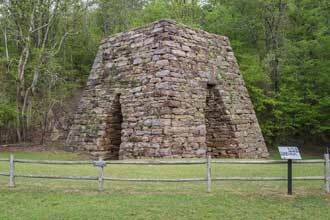 Large boulders and several creek crossings await you. The blazes disappear for a while but return to navigate you past a side trail on the right then over a bridge. Turning right after the bridge takes you around to finish the loop. Follow the sign back to the Visitor Center. 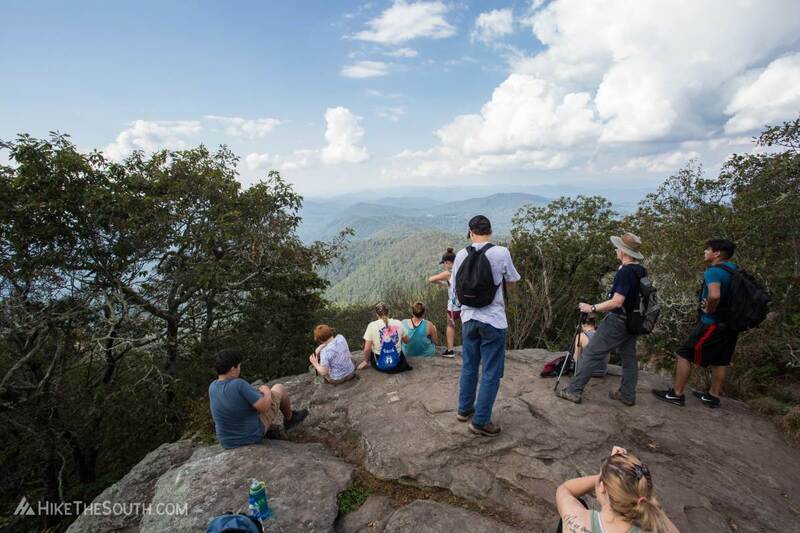 Check out more Blood Mountain hikes. Park in the Day Use Lot in front of the lake and across from the Visitor Center parking. 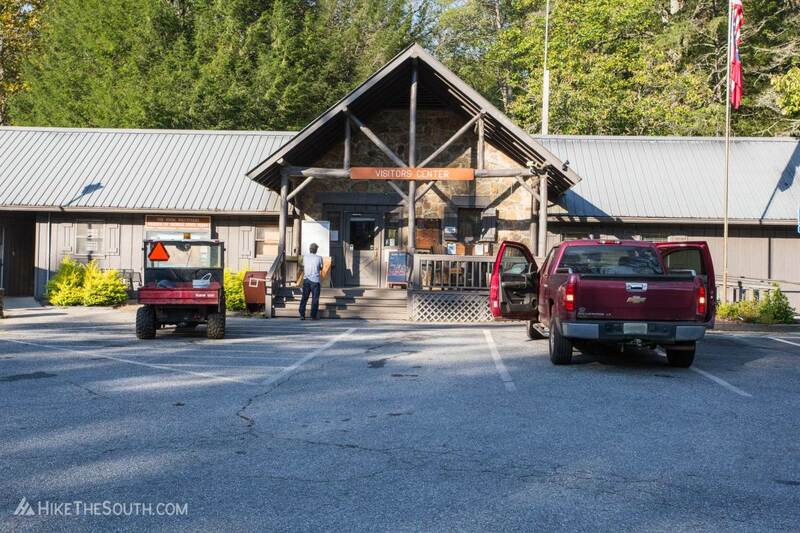 From here, you'll have to walk down the road to the right of the Visitor Center for .2 miles. Just past Cabin #7 a large sign points you to the trail on the right up some stone steps next to a vending machine. 50 Parking Spots in the Day Use Lot including 2 RV spots. 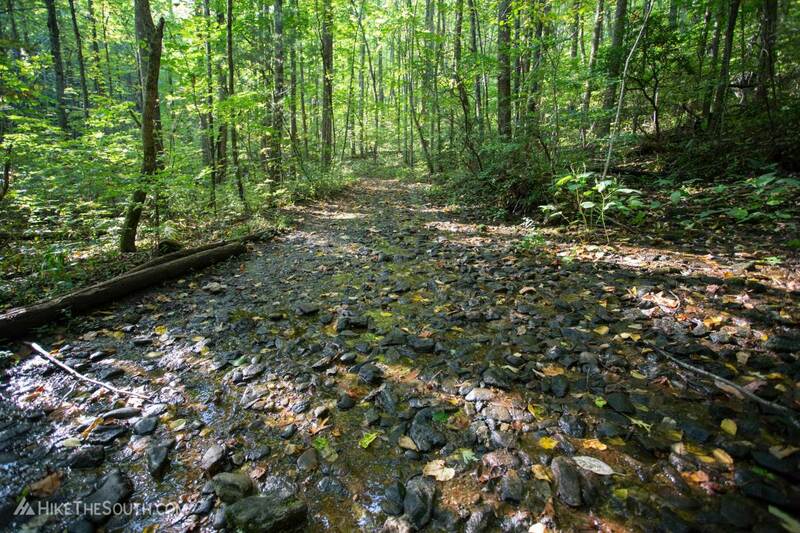 There are several creek crossings. Two of them require some caution when stepping across wet rocks. Much of the trail is rough gravel with some loose rocks. 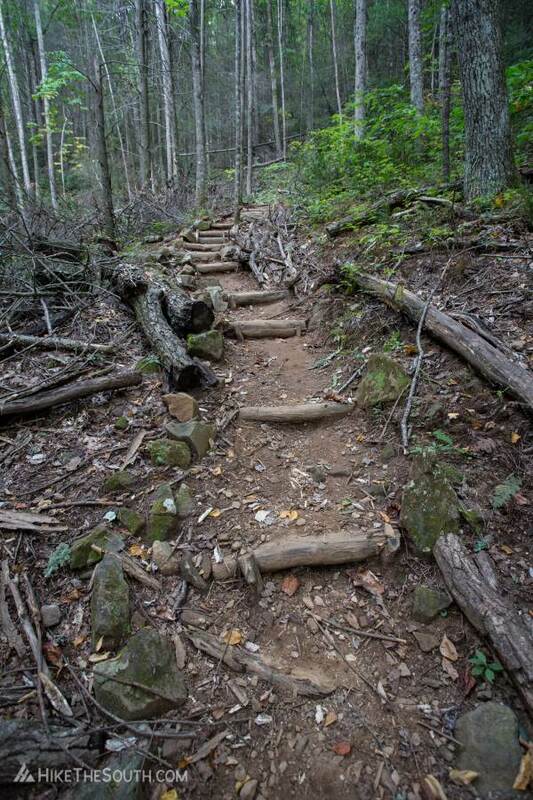 This is my favorite way up Blood Mountain. Because it's longer and more difficult than the routes from the Byron Herbert Reece Trailhead you won't see nearly as many people until you get near the top. 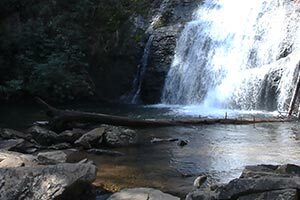 Pretty creek crossings, large boulders and the views from the summit make this an excellent day hike and worth of the drive to get there.